THE Securities & Exchange Board of India (Sebi) on Thursday (dated 4 December 2008) barred the early exit option from all the close-ended funds including fixed maturity plans (FMPs) by making it mandatory for these schemes to be listed on stock exchanges. 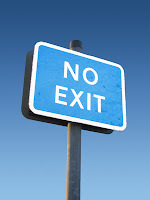 As already pointed out in my earlier post 4 Considerations to Know before Investing in FMPs, to manage the risk arising out of large scale premature withdrawals and its impact on the AMCs and the existing investors – particularly the retail investors – Sebi had two options: either to increase the exit loads or to bar the early exit by putting the no-exit clause and finally it has decided to go for the latter. Instead of the earlier option of allowing interim exit to investors by paying an exit load, mutual fund houses will now be required to compulsorily list all FMPs at the stock exchanges. The listing will provide alternative exit route to investors wishing to make an early exit. Furthermore, Sebi has also addressed the issue of asset-liability mismatch by barring the FMPs from investing in an instrument whose residual maturity exceeds that of the FMP. In other words, all the underlying investments of the FMPs can’t have a maturity period beyond the date on which the scheme expires. The new norms will be applicable only on the new schemes yet to be launched and there won’t be any impact on the existing schemes. It’s definitely going to be a boon for existing investors and a curse for outgoing investors. At present, outgoing investors (investors who make an early exit) are doing so at the cost of existing investors as large scale premature redemptions adversely impact the net asset value (NAV) of the schemes because either the underlying investments have to be sold before maturity at a huge discount or the fund houses have to borrow at steep interest rates. But, from now onwards, outgoing investors won’t be able to make an early exit by selling back to fund houses. To make an early exit, they will now have to approach a broker to make a sale at a stock exchange and might have to sell at a discount. Generally, most close-ended funds trade at a steep discount to their NAV’s. Initially, it may impact the popularity of the FMPs as many investors – who put money knowing the interim exit option – may now shy away from investing in FMPs. Thus, there might be a little fall in the average asset under management (AAUM) of FMPs. On the other hand, onus to provide liquidity will no more be on the fund houses; therefore, there will be more certainty of returns as NAVs won’t be impacted due to sudden redemptions. Also, the FMPs will now become strictly close-ended as they won’t allow early exits anymore.